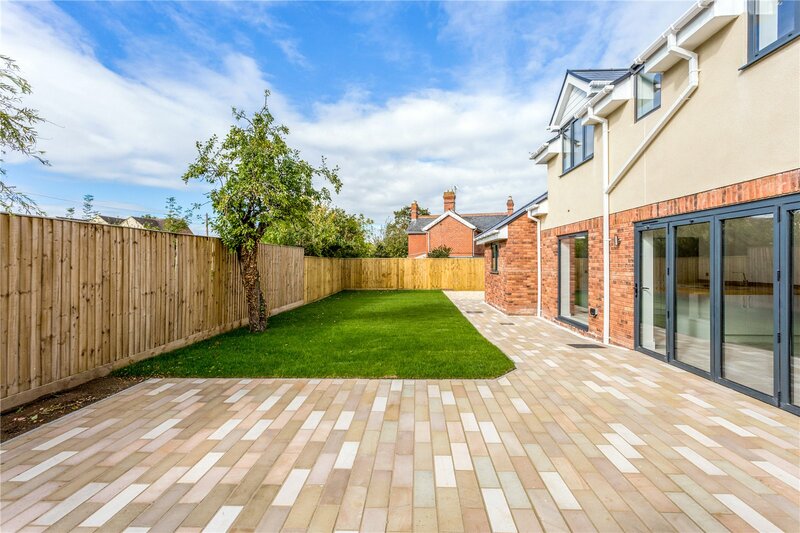 A brand-new detached home of absolute distinction set on a sought after road in the thriving village of Churchdown, equidistant to both Cheltenham and Gloucester. 42A Brookfield Road is a deceptively spacious detached home set in the heart of this thriving village. 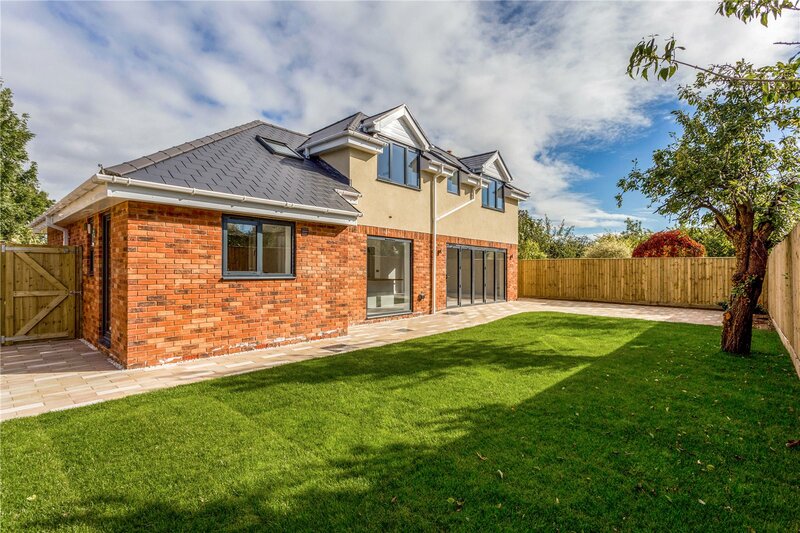 This fine detached new build home has been constructed to the most discerning standards of luxury and comfort with great thought given to creating a balanced home with exceptional attention to detail throughout. 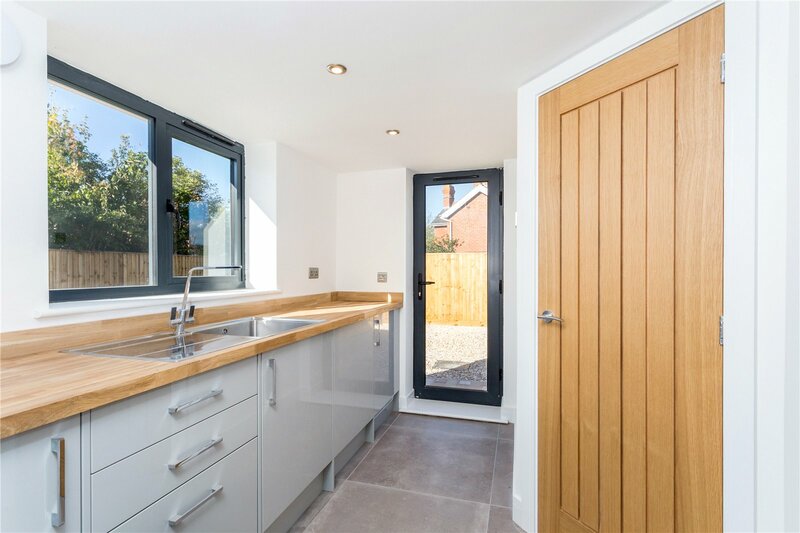 The appeal internally is the open plan living arrangement which is particularly conducive to family living, in addition to the traditional floorplan which offers balanced bedroom to living space. Arranged over two floors, access is gained through a reception hall which connects the reception rooms and the integral garage. 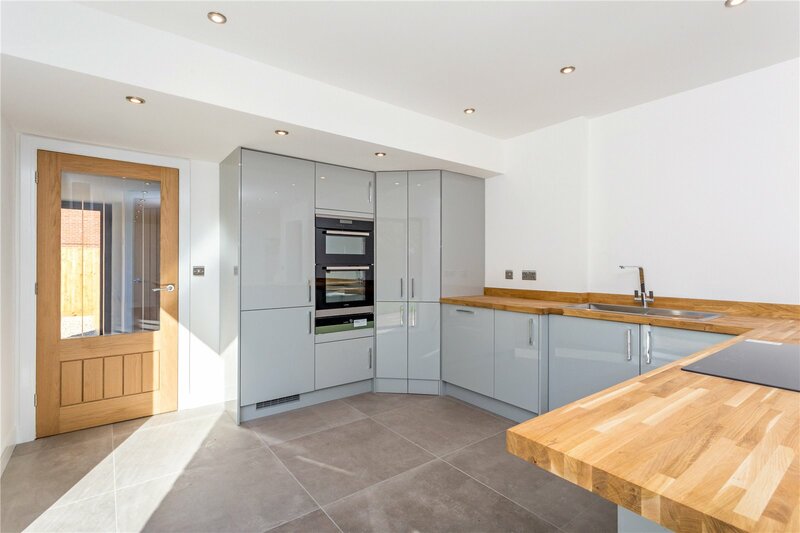 The kitchen/breakfast room is the real hub of the house, fitted with a range of units and integrated appliances, an island with induction hob divides the room into a spectacular family area, ideal for sofas and a dining table. 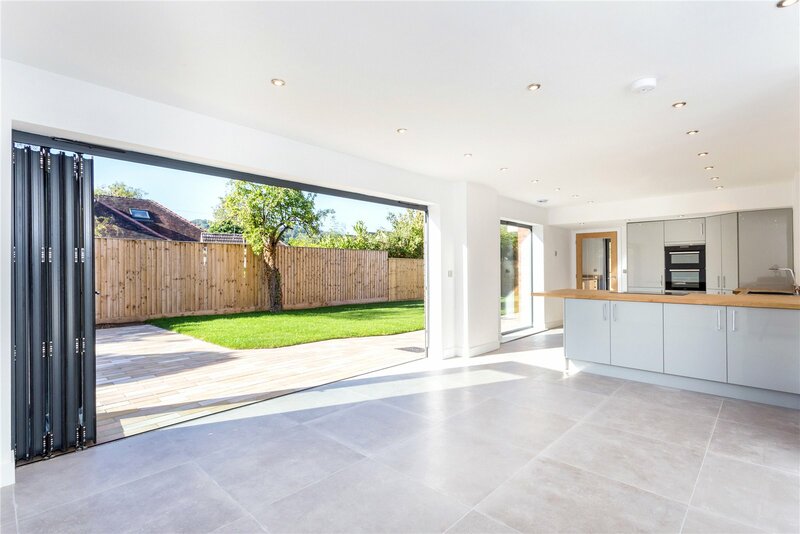 There are bi folding doors giving views over and access to the rear terrace and further onto the gardens. 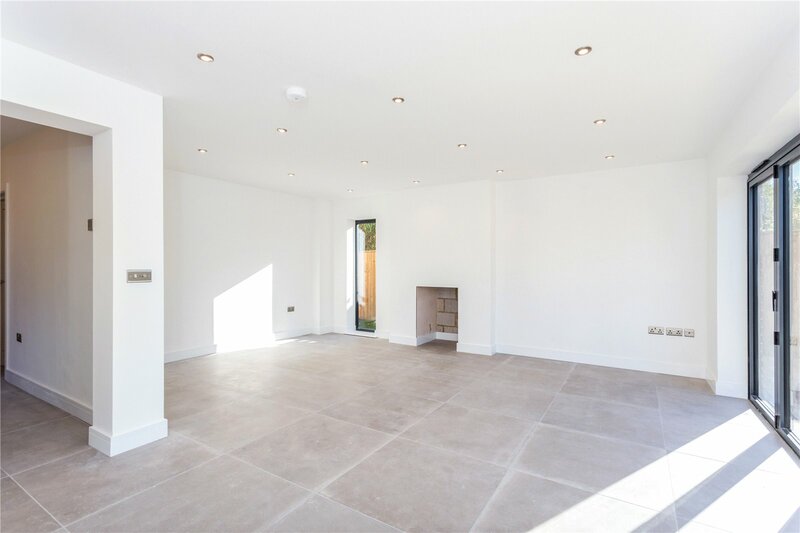 Adjacent is a useful utility room and cloakroom. 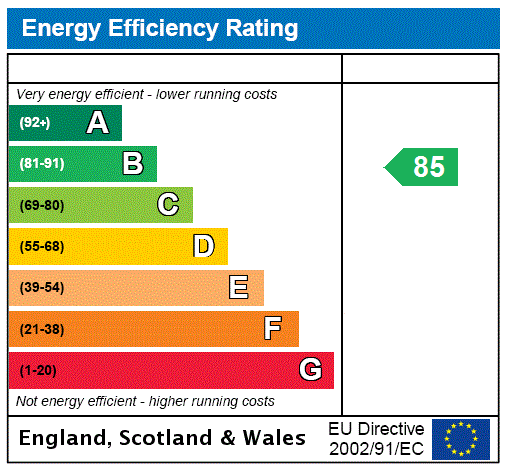 There is a separate sitting room with a triple aspect feature bay window. A further cloakroom completes the accommodation on this floor. A staircase rises to the excellent bedroom space on the first-floor level, which is particularly well planned. All double in size some have en suite facility, while others enjoy lovely views of the garden and further to Chosen Hill. The master bedroom is a complete suite with a spacious dressing room and en suite shower room. 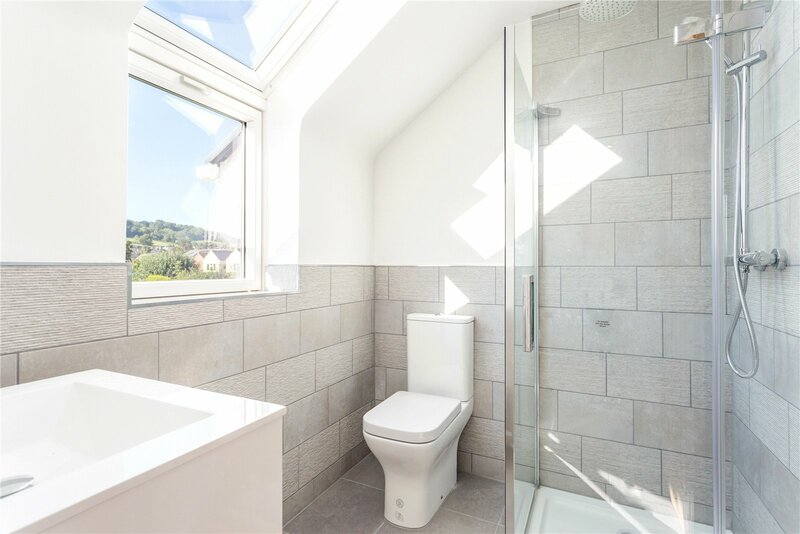 There are two guest bedrooms both of which have en suite shower facilities. 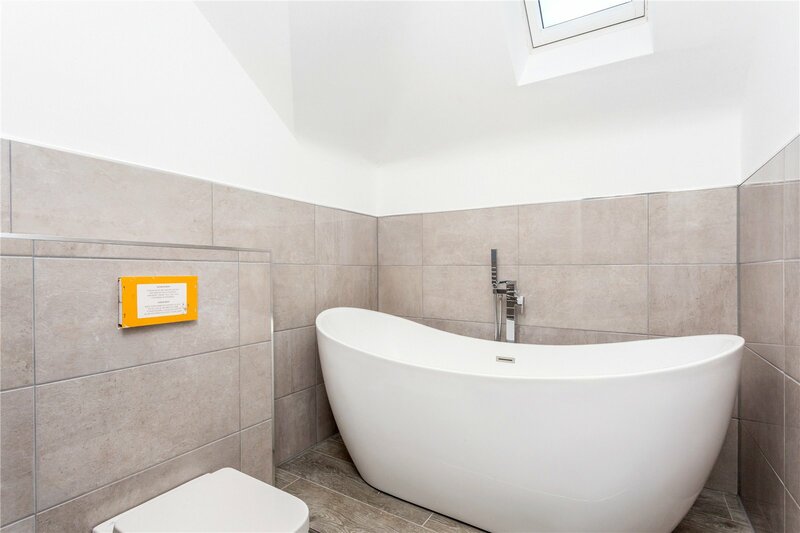 Whilst a luxury family bathroom serves bedroom four. Set back from the road and occupying a discreet position, the property is fronted by off road parking and an integral garage. The garden lies to the rear with a patio terrace accessed from the family room. 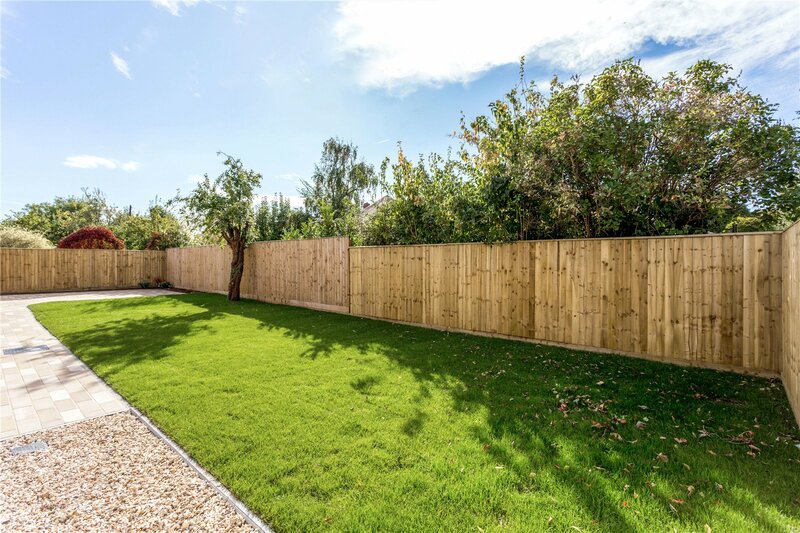 The garden is easily maintained, mainly laid to lawn bounded by fencing making it particularly private. 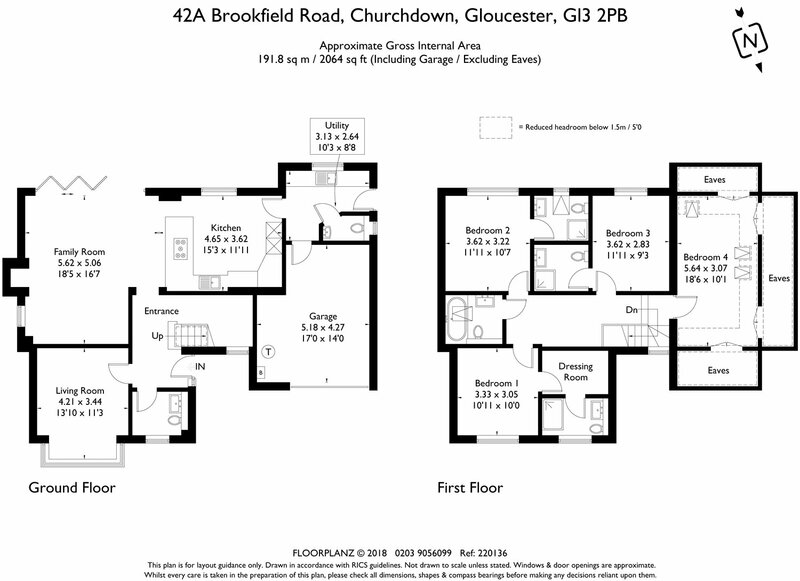 Brookfield Road is in the heart of the sought after village of Churchdown. Much of the charm of this location is the lovely views to Chosen Hill, an Area Of Natural Beauty, giving a semi-rural feel. Within the village itself, life centres around the community feel and excellent local amenities, including a well reputed primary and secondary school, shops, a public house, doctors surgery and vets. The larger centres of Gloucester and Cheltenham are equidistant and both within a short drive, offering a more comprehensive range of amenities, a cultural lifestyle and esteemed educational establishments including; Kings School, The Cheltenham Ladies College, Cheltenham College and Dean Close in addition to several exceptional Grammar schools. 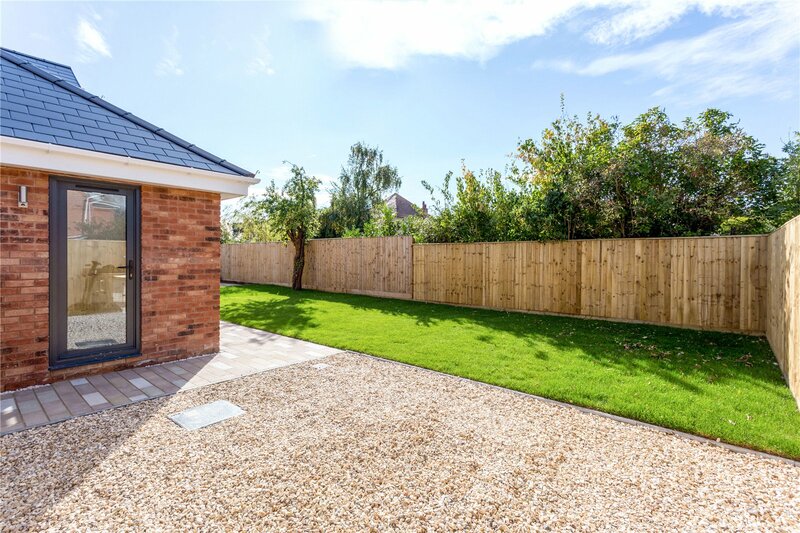 Whilst distinctively semi -rural, the village is within easy commute of more major cities with easy access to the motorway networks making a South/North bound commute easy.